Your Most Anticipated Nendoroid from Summer WonFes 2011? 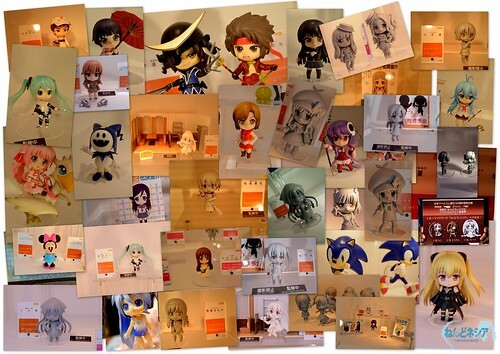 Summer WonFes 2011 has ended and it left us with many impressions of the upcoming Nendoroid. I am pretty sure that many of you have already started writing priority listing of the new Nendoroid by now. This entry was posted in News and tagged nendoroid, polling, wf2011, wonfes. WHAT!!! JACKFORST 3%??? whats is that??? There is so many that I’ll die to get, I can’t choose ! Hey where is Kobayashi Kamu ? Eh… Doesnt look like its guna be that way, Me thinks Erio is DA BIG WIN! shes got a good 12.12%! Hmmm…. It seems there is something that looks like Hatsune Miku in a swimsuit on the calloge, on the bottom left next to Ika… I dont believe there was anything like that in the WF, was there?